Kathryn Clair attributes her long-standing success as one of the top agents at William Pitt Sotheby's International Realty to consistently satisfying the needs of her clients, while making a commitment to provide an outstanding level of service. A strong record of repeat business is her trademark and she enjoys her continued connection with her clients. She is an eleven-time recipient of the Connecticut Magazine, Five Star Real Estate Agent Award for delivering an exceptional level of client service, which is awarded to only 7% of all Connecticut Real Estate Agents. Other awards include Top Office Producer, #1 Dollar Volume, #1 Units, William Pitt Sotheby's International Diamond Award Winner, William Pitt Sotheby's International Platinum Award Winner, William Pitt Sotheby's International Gold Award Winner and William Pitt Sotheby's International Silver Award Winner. Michael J. Fox Estate, Joan Rivers Estate, Deborah Harry Estate, Colgate Mansion, William Styron Estate, Walter Matthau Estate, Arlene Francis Estate, Henri Bendel's CEO Geraldine Stutz Gibbs Estate. Over 18 years of experience in all price ranges, she strives to connect the buyer with the property which works best for their lifestyle and helps them navigate through the buying process. 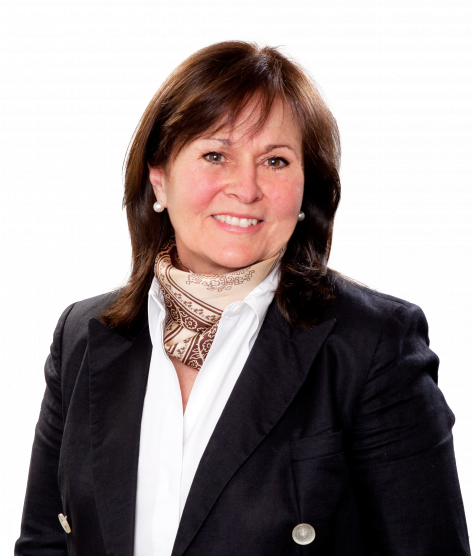 For sellers, she brings her knowledge and top marketing skills to achieve the goal of a successful sale of their home. With her depth of local involvement, she offers great knowledge of local and private schools, area activities for children and adults, local contractors and service providers, all which creates a seamless transition to a new area for her client. She is a graduate of Rutgers University with a degree in Business/Economics and continued graduate study at the University of Texas in Psychology. Kathryn served two terms on the Region 12 Board of Education, where she held both Treasurer and Finance Chairman positions. She was a charter member of the After School Arts Project Fundraising Board, Co-Chair of The Lake Waramaug House Tour to benefit New Milford Hospital and the Lake Waramaug Task Force, The Roxbury Bicentennial Committee, Region 12 PTO, Booth Free Fall Festival, Member of the Washington Art Association, National Association of Realtors, Connecticut Association of Realtors, Litchfield County Board of Realtors, New Milford Board of Realtors and continues to contribute in a host of area events. She and her husband Tim raised their four children in Litchfield County and find it to be one of the most beautiful areas on the East Coast, offering a combination of both beauty and easy access to New York City and Boston. •et; Five Star Professional Agent Award, Connecticut Magazine. In a very tough Market Kathryn Clair performed an amazing feat. She was able to get our property sold within a timeframe that was great. She was the most responsive, dedicated and knowledgeable Broker and one that that we needed to get a tough job done. One of the most important qualities that a successful Broker must have is the ability to work with other Brokers.It is a crucial part of being in the top tier of Real Estate Brokerage. Kathryn has that quality as well as finding clients and having the knowledge to control a transaction from beginning to end. Our transaction was more difficult as the timing for both the Buyer and the seller had very tight timeframes and she was able to deal with this and find us another house as well. We would certainly use her again as our Broker and would recommend her to anyone in need of Real Estate services. Kathryn was an outstanding agent. In a very tough market, she consistently provided sage advice, while always allowing us to make our own decisions. There was never a moment when she was not available or willing to go the extra mile. It was a privilege to have worked with her--first as buyers and then years later as sellers. Per Manny and Skippy G.
Kathryn Clair is not just a pleasure to work with -she is the best broker we have ever worked with and there have been many over the last 25 years of moving around New England. We are very happy to have found her! Thanks Kathryn! Per Linda and Everett R.
Kathryn worked very hard to make the process of selling our home less stressful. She was extremely knowledgable, professional and compassionate throughout the whole experience. I trusted and valued her opinion and honesty. ….. great follow through and understanding of buyer sensitivities. Just to say to you what I've already said to everyone else, you've really made this process a pleasure for us. I'm in the business, and have rarely met a broker as professional or as conscientious. Thanks a million times. Kathryn Clair understands what your looking for. She called me one night and told me about a house she thought we would like. I kind of dogged it for a few weeks, ok maybe a month or longer. Then I was out on a free afternoon and decided to drive by the house, and WOW, she was right. I called her that Friday night and said " That's it, I need to put in an offer, right NOW !! " She was at the house within an hour. ( 8 pm on a Friday night ! ) We went in with a low offer and Kathryn Clair never made us feel uneasy. Counter offered a few times and I think both seller and buyer ended up happy. Katheryn was always very easy to reach. Very polite. Very nice person to work with. Kathryn made our home buying experience pleasant and productive. She listened to what we wanted, and not what she thought we would settle on. Not only was she knowledgable regarding the market, but she was always available to work around our hectic schedules. It was a honor working with such a fine, level headed professional. Kathryn Clair knows her neighborhood and knows how to put the right buyers and sellers together. After 18 months with another realtor--plenty of showings and not a single offer-- we were pretty discouraged. At the end of the contract we called Kathryn to see what she could offer. From the start she brought clarity and fresh energy along with a sense of warm confidence. She suggested a number of changes which we were happy to make. The house sold in three weeks. She's the best! My house had been on the market for about 9 mos then I switched brokers to Kathryn---- and zap, she breathed new life it to it . She opened doors saw new views that had gone un noticed . Breathed new energy into project.Yes the closing came quickly at a good price and the new buyers love the house as much as I did. She delivered it into great hands. She is the best !!!! And I have sold many properties all over the country so I know from which I speak!! You have a gem. Kathryn is simply the absolute best of the best – knowledgeable, understanding of your needs, always available and acting in your best interests. She gives "professional" a new level of meaning, always giving the most helpful advice and guidance in buying or selling a property, a daunting experience that is always fraught with stress and unexpected complexity. Wouldn't think of engaging in any real estate transaction without her! You shouldn't either... from a very happy client. We were moving from out of state and had very limited knowledge of the area and Kathryn really helped us pick a location that fit exactly what we were looking for. When the sale of our house on the other end was delayed after we had moved out, she helped us get early occupancy for our home furnishings so that we did not have to incur additional storage expenses.